A few years ago, it would have taken a pretty good-sized backpack to carry all of the devices now integrated into your run-of-the-mill smartphone. A laptop for Internet access, a cellphone the size and weight of a brick, a slick 1.3-megapixel digital camera, a Sony Discman and a Game Boy. Now your phone can do every one of those tasks, and more – plus help you manage your money. And perhaps in ways you haven’t even considered before. 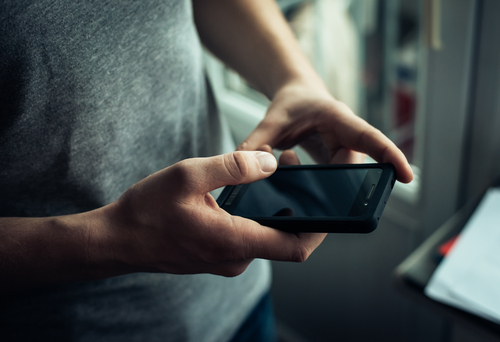 A phone can be much more than simply a mobile link to your bank. Checking on current account balances and transferring funds are fundamental functions. But it can do much more than that. Keeping track of spending is the foundation to what financial planners often recommend first to their clients: budgeting. Everybody hates budgets, but knowing where the money goes can help you find a way to hold on to more of it. “I spent how much on what?” can be a question easily answered with the right app. It may not even be a matter of actually making a budget, as much as being more aware of where all of your money has been escaping to. Mint, Billguard and Manilla are popular and proven apps that can help you track expenses on the run. There are hundreds more. But only a quarter of us (24%) track purchases and expenses on our smartphones, according to new research from the U.S. Federal Reserve. It’s a habit worth forming. Ever check your bank balance on your smartphone before making a large purchase? Yeah, a lot of us do. In fact, 69% of Americans do, according to that Fed report. And here’s the thing: Half of us who check our balance or available credit just before pulling the trigger on a purchase decide not to buy whatever that budget-buster was. That’s some pretty powerful information. You can take your financial decision-making to the next level with your mobile device. Rather than checking the balance of an account, you can check your budget app. Whichever program you choose to use, within seconds you can pull it up and see how much you’ve spent of your disposable income allocation. Now, it’s not a decision simply based on available funds, which is a hand-to-mouth strategy; it’s based on available funding, which is a wealth-building strategy. More than just for photos-on-the-fly, text messages every few seconds and Facetime calls to your friend 20 feet away, your smartphone is a data link for real-time financial information. Low-balance alerts from your bank can be a quick slap in the face, but an overdraft fee saver, too. Payment-due notifications can eliminate late fees, and fraud alerts can save your banking bacon. Using three factors: motivation, ability and triggers, the focus group research revealed that when armed with budget information and reminders, young adults admitted they would save more and gain greater insight into their finances. You can trigger your financial good behavior by setting up savings reminders on your smartphone, too. Taking financial planning by phone even further, apps like Personal Capital consolidate all of your banking, savings, retirement and investment accounts so that you get a broad overview of your financial health. You can track the performance of your investments, use an asset allocation analysis to determine risk and suitability – and even put your 401(k) and mutual funds to the acid test of a fee analyzer. Shopping from a grocery list can save you money by reducing impulse purchases. Grocery Gadget helps you build your list without starting from scratch each time. The app can be shared and automatically updated among family members, and it actually learns your grocery store’s layout so your list is in the order that you find the items in the aisle. There is also a coupon finder and price comparison tool built in. More than four in 10 (44%) of American smartphone users have comparison-shopped with their phone while in a retail store, according to the Fed survey. And more than two-thirds (68%) changed where they purchased a product as a result of the price information they gathered. That goes to show just how much smartphones are helping us make smart financial decisions.